Health Savings Accounts, HSAs, are a good long-term savings vehicle because of their significant tax benefits. Can an be withdrawn Federally tax free unlike withdrawing from IRA or 401(k) accounts. If your employer offers you access to HSA with a high-deductible health insurance plan, it’s a useful tool to potentially save on taxes for qualified medical expenses. IRS mentions conditions to be eligible for HSA. Long-term saving for health care is an important part of any retirement plan and HSA may help you do just that. 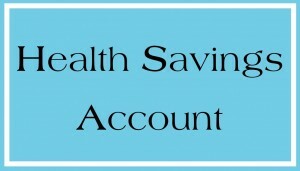 HSA is an individual account. It’s used with a high-deductible health insurance plan. It covers qualified out-of-pocket medical costs on a pretax basis. That means you open an HSA, put cash in it. You can then use it even for a doctor’s visit without paying taxes on it. Unlike a traditional IRA or 401(k), if you use the money for qualified medical expenses, your principal plus any earnings on it may also be withdrawn free of federal tax, and in some cases state tax. What some folks do is when they can afford it, they cover their current medical expenses out of their after-tax income and invest in HSA for the long term just like folks would do for their other retirement plans. Therefore, investing for the long term increases the potential for tax-free growth of your HSA assets. If you do use HSA for long-term savings, you might want to consider the same investment strategy as you would for IRA, 401(k) or other similar retirement plan. If you won’t need the funds until you reach retirement, and if you are not close to retirement, then you can be more aggressive when investing cash in HSA. Let’s assume your total medical expenses at the time are $500. You can afford to pay only $400 out of your pocket. If you have left some cash in HSA account, you can pay $100 from that account. You can keep investing the remainder of your savings according to your long-term strategy. By the way, the core cash option in your HSA is insured by the FDIC. You should be contributing enough to get any match available from your employer in a plan like 401(k). Contribute to your HSA up to the limit – $6,150 for a family in 2010 and 2011. Because of the triple-tax benefit of HSAs, this may be the best savings option for your retirement. Spiraling costs of health care pose a serious challenge for retirement planning. Tapping into potential tax benefits of HSA for long-term saving may help.